It's often said that the way to encourage children to eat well is to make mealtimes fun and the Spanner Children's Cutlery Set by Culinary Concepts will do just that. 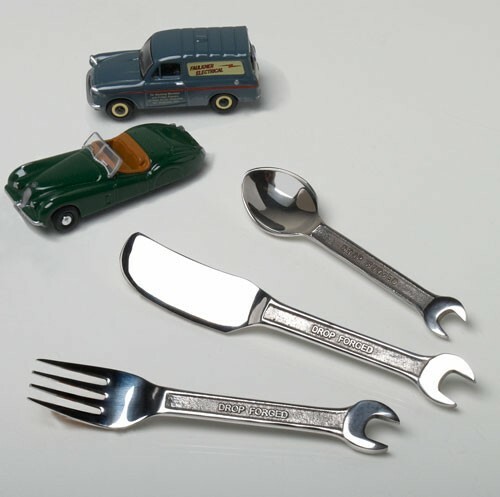 Consisting of a knife, fork and spoon with handles that are exact replicas of traditional drop forged spanners, they are sure to delight car (or bike) mad kids every time they use them. 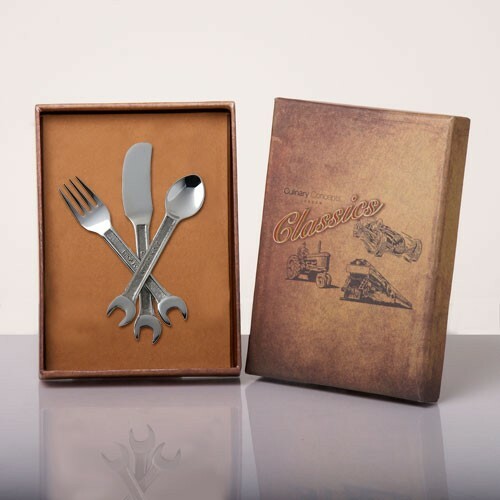 They also have a look that hails back to traditional Meccano sets and this, combined with their charmingly retro gift box, will probably bring a happy whiff of nostalgia to many parents too! This quirky Spanner Kid's Cutlery Set is the perfect gift, stocking filler or New Baby / Christening gift. 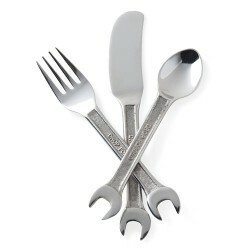 A charming set of Children's Cutlery with handles replicating a traditional drop-forged spanner. Stainless steel - Knife - 15.5cm, Fork - 13.5cm, Spoon - 12cm Long. Suitable for dishwashers. Gift Boxed. being mechanically minded i thought this gift would be loved by our grandson. we like it i hope he does. Just the present for my first (boy)grandchild's naming ceremony. Father & Grandfather both top mechanics, so it seemed very apt! fantastic quality in a lovely presentation box, excellent christening gift. 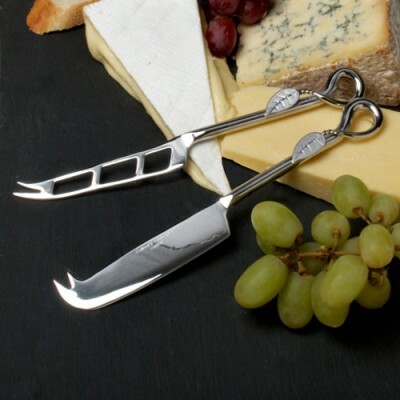 Very good quality and sturdy cutlery - just right for a small person! 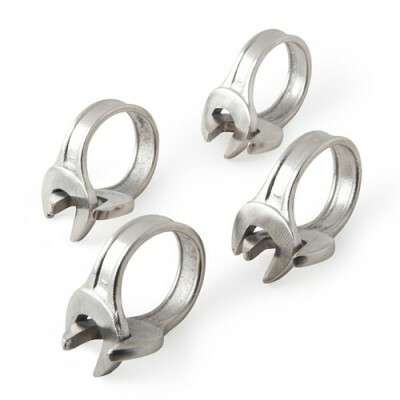 Excellent gifts,just what iv been looking for.